The popularity of detox retreats keeps rising and now they are available all over the World. The best time for detox is definitely spring. Autumn is a good season as well. If however you would like to enjoy the sunshine whilst on a detox holiday, you can undertake an effective detox programme in the summer as well. The least recommended time for a detox holiday in winter, as at that time, the body needs hearty, nutritious meals to cope with cold. Hungary is a destination worth visiting all year round and the abundance of natural thermal waters, which support cleansing, makes the country the perfect place for a detox treatment. Some of our hotels in Hungary have their own detox programmes, whereas others offer therapeutic fasting inspired by the Buchinger’s method. In Hungary, a popular addition is a drinking cure with use of natural thermal waters, which provide the body with minerals, reduce cravings for snacks, boost metabolism and ensure proper hydration. The mineral composition of the water is unique for each source. 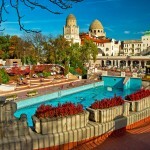 The most popular spa destinations in Hungary where you can undertake a detox treatment are Sopron, Sarvar and Heviz. The latter one is especially interesting due to the proximity of two unique lakes – Lake Heviz and Lake Balaton. 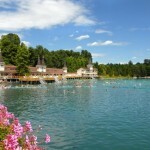 The first one is a thermal lake with warm water suitable for bathing even in winter. Balaton is one of the largest and most beautiful lakes in Europe and as the water is relatively shallow, it is suitable even for inexperienced swimmers. 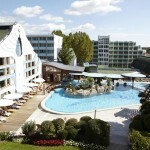 SpaDreams hotels in Hungary offer a variety of programmes such as therapeutic fasting at Hotel Lövér, alkaline diet at Danubis Sarvar, rainbow fasting at Hotel Europa Fit or Slim & Healthy programme at NaturMed Carbona.